Are you getting ready to take a trip off the beaten path? There’s two major, yet simple, things to consider first: tires and winches. Here’s what you need to know about outfitting your truck or SUV with the right tires and winch for off-roading. The most critical part about picking tires is matching the tread to the terrain. 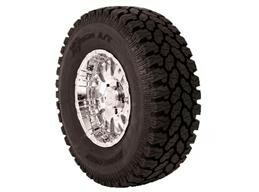 If you’re a light off-roader or just getting started, a good set of all-terrain radials is a great option. Most A/T tires are great for rock running, most popular trails, etc. A good set of A/T tires is also perfectly fine for highway use. If mud is in your off-roading future, mud-terrain radials are the way to go. While most A/T tires have relatively small tread blocks that are close together, mud tires have larger blocks with more spacing. While most mud-terrain radials are okay for street use, they’re loud and they tend to reduce fuel economy by 10% or more. If you’re building a wild off-road machine, you may want a set of super-flexible bias ply off-road tires. These tires can be run at extraordinarily low pressures, as little as 8 psi, while rock crawling, which allows for maximum traction on uneven surfaces. At higher pressures and larger sizes, “boggers” are bias-ply tires that are great for mud holes. Bigger isn’t always better. Your vehicle’s suspension and powertrain are designed with a range of tire sizes in mind. If you mount a set of 38″ mud tires to a mostly stock Jeep Liberty, you might be disappointed with the effect these tires have on ride, acceleration, and handling. Many off-roaders swear by 33″ or 35″ tires (as wide as you can mount on your vehicle), as they tend to offer a good combination of performance without overwhelming your vehicle’s drivetrain or suspension. If you go with a bias ply tire, understand that your tires will wear much more quickly, that you’ll need to invest in bead locks, balancing beads, etc. ; and that some police officers may (incorrectly) ticket you for driving your bias ply tires on public roads. 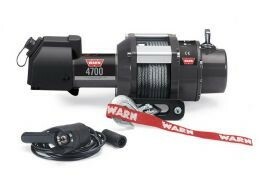 Now About Winches – Do You Need One? Additionally, if you do a lot of winching and/or if you’ve purchased a very large winch (in terms of capacity), a dual battery setup is probably a good idea. Most vehicle electrical systems don’t have the battery capacity to support a winch, at least not for more than an occasional recovery. A self-described “car nerd,” Jason is a automotive columnist who has written for the eBay Motors blog, Motor Car Digest, as well as his own sites TundraHeadquarters.com and AccurateAutoAdvice. With an engineering degree, a full-time job in the automotive parts industry, and a decade of experience working in auto dealerships, Jason brings an interesting perspective on all things automotive.